STOP MY LIFE – I WANT TO GET OFF! Working too much or facing personal challenges? Looking after everyone but yourself and always feeling tired? Getting stressed by small things like missing the bus or losing your keys? If everyday life is making you crazy, you need to take time out for YOU. My KEEP CALM, LIVE WELL Holistic Therapy course is a quick, effective guide to keeping your cool when your To Do list is longer than your arm. Over six weekly sessions you’ll get to the root of your stresses, learn to unwind and discover vital techniques to get you moving forward in great shape. I’M READY TO KEEP CALM AND DE-STRESS. LET’S TALK! Hang on, isn’t stress just a fact of modern life? It doesn’t have to be. We all feel frazzled at times, some more than others. But coping well with everyday hassles and long-term strain is MUCH easier when you feel composed on the inside. At the core of this programme is the concept of mindfulness and Meditation and guided Visualisations. This means being fully aware of what’s happening in your life at any given moment. Simply being in the present – and thinking about how to handle it – instead of letting your mind (and often body) race ahead to the next thing you should be doing. You’d be surprised! Living this way can be harder to master than it sounds. Especially when you’re juggling a challenging job, a busy personal life and a world that always expects you to be there at the end of the phone. But taking time out for yourself can make you a happier, healthier and more successful person. Each week we work on techniques and exercises that give you the energy and focus to get on with what you need to do WITHOUT burning out. Breathing and Stretching Techniques: Easy to fit into your day and very effective at providing focus when you’re tired, rushed or anxious. Meditation: A simple, proven way to stop the merry-go-round until you’re recharged and ready to get back on. Visualisation: Ever stopped to REALLY THINK about how you want life to be? Taking time to picture your desires is an excellent head-clearer – even the smallest changes can make a HUGE difference. Mindfulness and Relaxation Techniques: When the body is relaxed, it can heal. Taking time out to be mindful, in the moment, can evoke clarity. Now’s your chance to air any challenging or stressful issues you face in a warm, supportive environment, and find ways to work through them. READY TO FEEL CALM, NOT CRAZY? Everything I teach is designed to be simple to learn, easy to adopt and, crucially, make a lasting difference. All you need is a few slices of your time and the desire to live a more balanced life. Enjoy 8 x 60-minute sessions for just £75.00 and feel happier and saner in just a few weeks! Or pay as you go at £10 per class. PLUS you get a bonus relaxation CD to use at home . I WANT LIFE TO GO AT MY SPEED – SIGN ME UP! 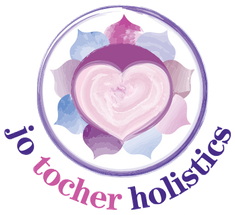 Give me a call on +44 7791 646801 or drop me an email at jo@jotocherholistics – I’ll be glad to advise however I can.